Motorola has been working on the Moto 360 for a really long time. We learned of an early prototype of the device as far back as last summer under the codename “Gem,” even seeing behind the scenes pictures of it as a watch that looked like a mix between a wannabe smart device and a Nike+ running watch. It was black, rubber, included buttons, and had a square face. 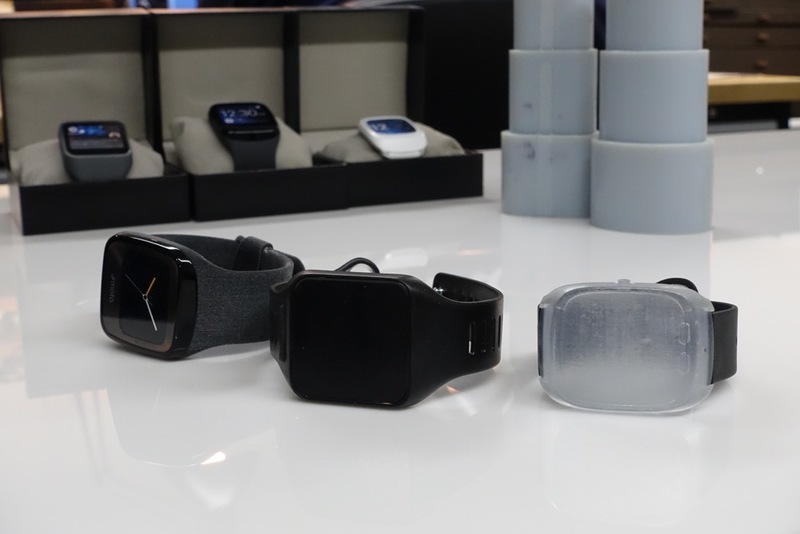 It looked like all of the other smartwatches that no one seems to be all that excited about. But this Spring, Motorola unveiled the Moto 360, a round-faced smartwatch that was built as a beautiful watch first, smart device second. We have been testing it since last week and so far, are really enjoying it, thanks to its premium build and decent 1-day battery life. By all means, this is still the Android Wear watch to consider if you are in the market for one. 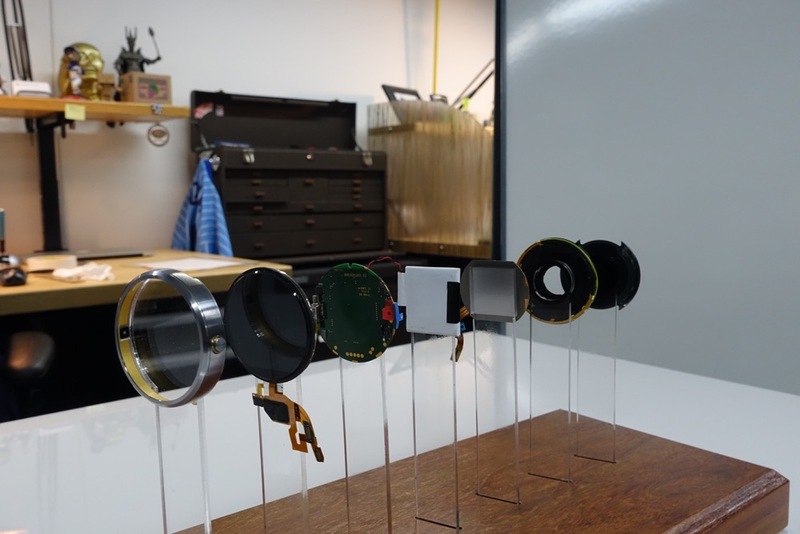 Last week, though, Motorola took us on a tour of their Moto 360 labs in Chicago, putting on display a bunch of prototypes that (thankfully) never made the cut. As you can see from the images above and below, Motorola was once far from where we are today with the 360. The original devices are surrounded by large amounts of bezel, square displays with rounded edges, and rubber watch bands that look far from premium. 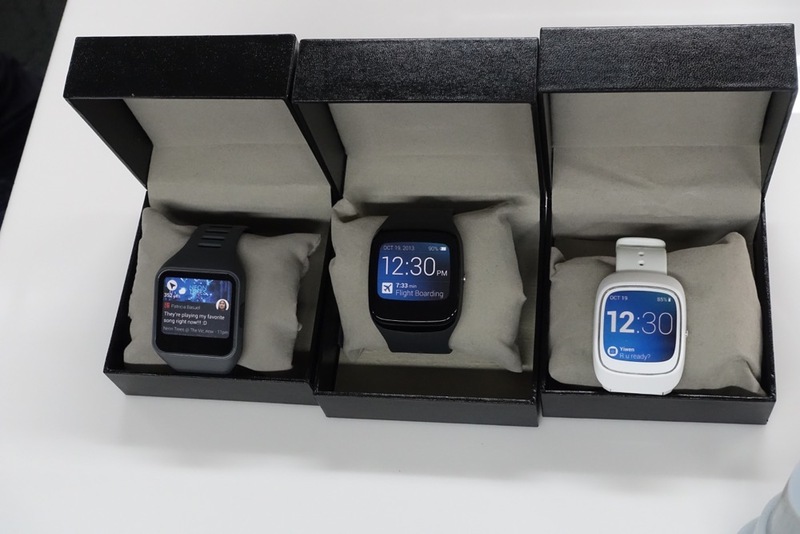 They all just sort of look like the Samsung Gear Live or Gear 2s of the world, only with a more retro-look. But even when Motorola decided that they would go fully-round, there were hurdles to overcome. 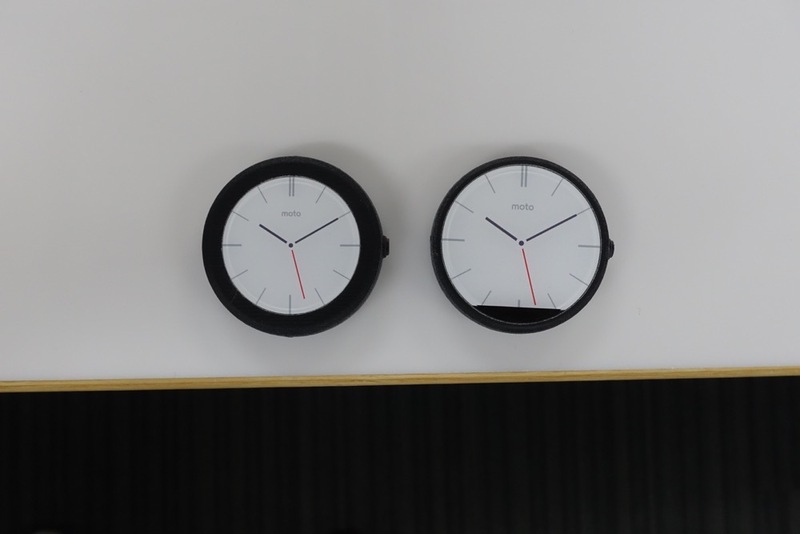 Motorola had to decide if they wanted bezel or no bezel on their round display. They decided for the latter, which took their device from the left to the right in the image below. That also meant that they would have to introduce the “black bar” on the bottom of the display, so that they could include an ambient light sensor to automatically adjust the watch’s brightness setting. Which would you rather have? Motorola talked to us about all of the engineering magic they had to work through in order to make this device a reality. Part of that story is told through the exploded image we took here. The round 360 sports a large 1.56-inch display, 320mAh battery, heart rate sensor, and TI OMAP processor, all of which are likely not round. Again, we have come a long way over the last year to get to the retail-ready Moto 360. I think it’s safe to say that the Moto 360 will help pave the way for future smartwatches from all companies that will look a lot more like traditional time pieces, which is a good thing.